Where in this sense BOAT stands for Bonsai Occupational Aunty Therapy, with me assuming the role of Aunty ! 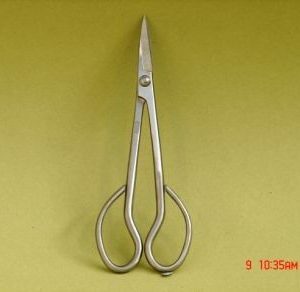 I ask you, three grown men playing with little trees ? 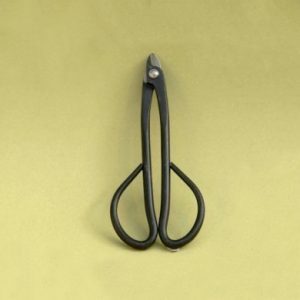 we certainly need some sort of therapy. 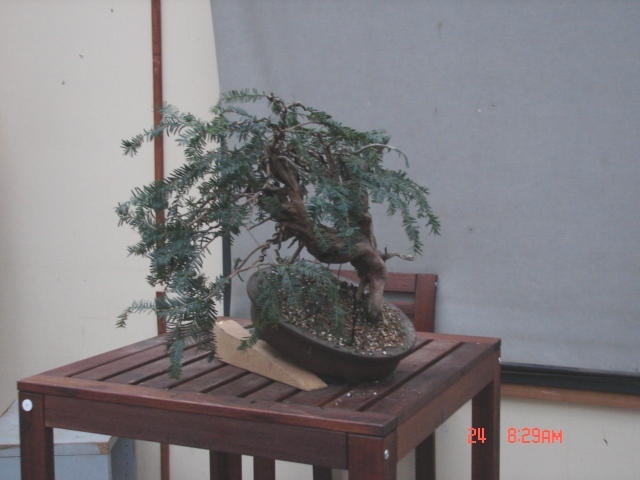 The G-man’s first shaping of a European yew bit of yamadori material. 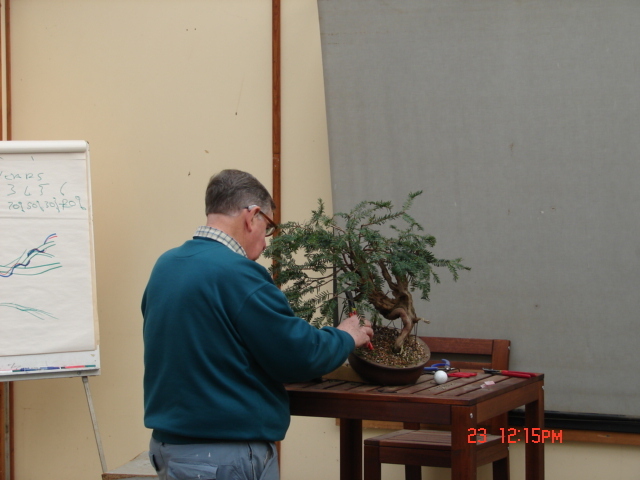 Antony with his nice European beech, a bit of end of year light pruning. We certainly had some nice trees to play with. 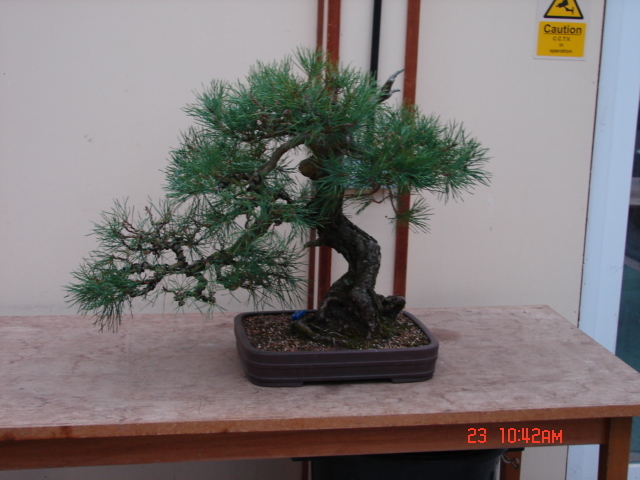 The Scots pine that Peter G. started with Ryan Neil here a few years back. 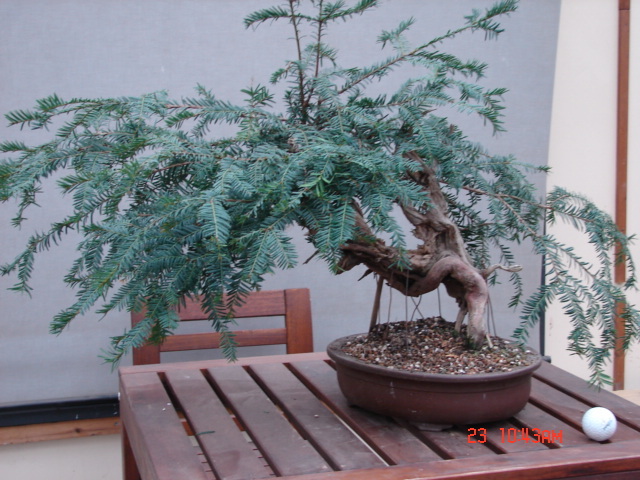 Antony’s Spanish origin European yew that seems to have taken forever to recover from a set-back, however, just about there now and ready for re-shaping starting next year. 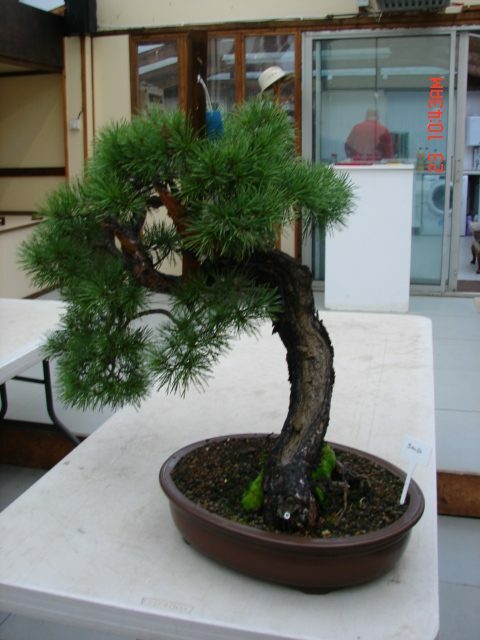 A new project for Antony is this very nice Scots pine that we purchased from David Benavente’s garden last year. 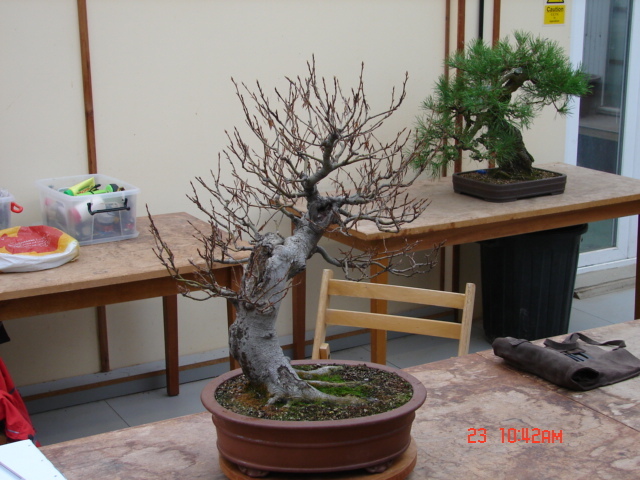 A little bit of branch re-alignment need now following an inclination change at it’s re-pot earlier this year. 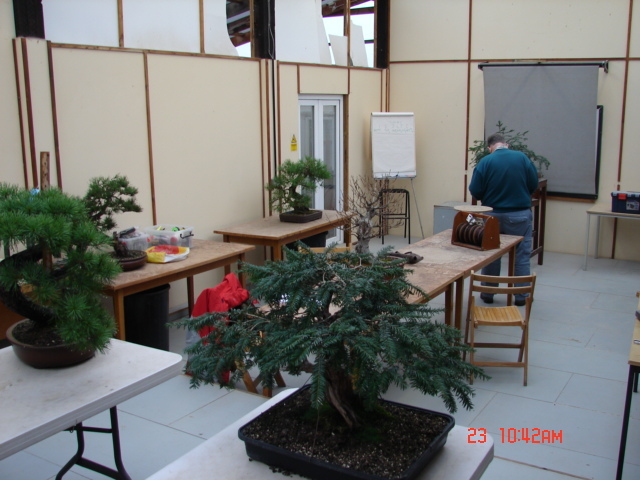 The main topic of the day for Peter was to start his yew on the bonsai path. 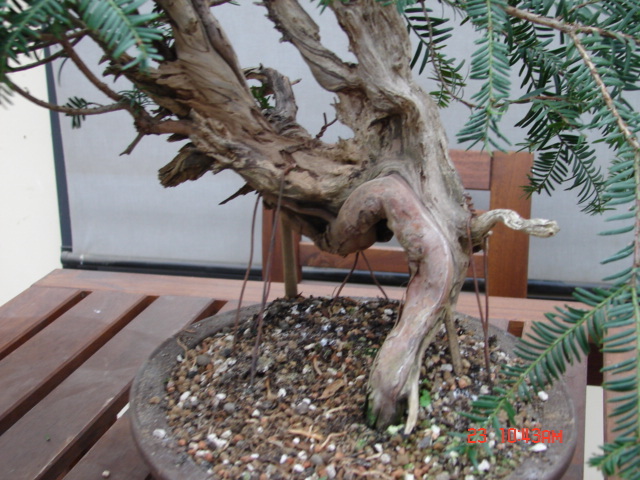 Typical of so much of the Spanish origin yew material is this great live vein and natural deadwood. 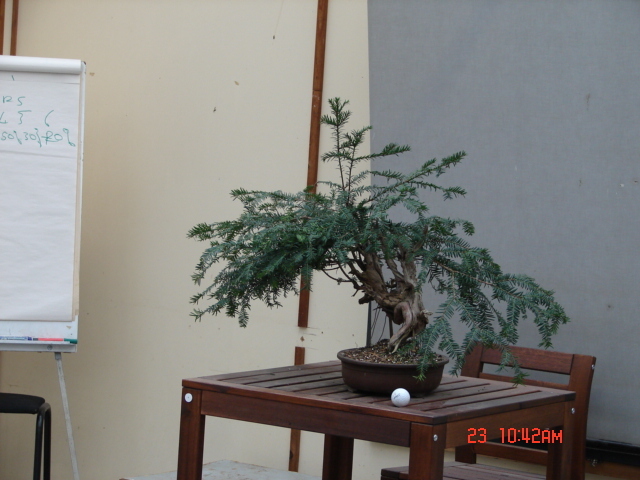 The aim was to select and position main branches, not to fully shape the tree in this first stage. 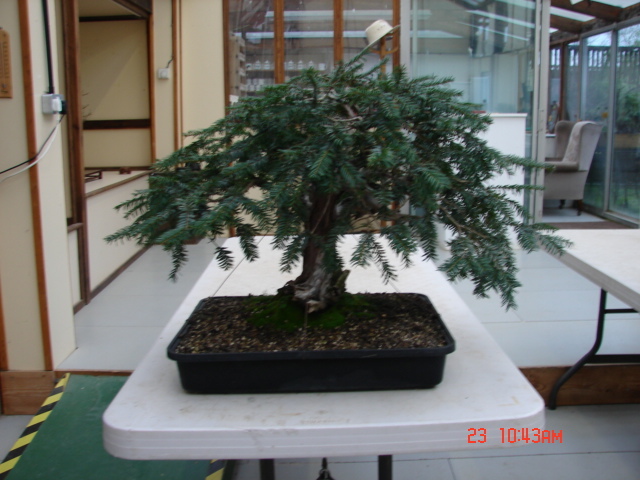 We agreed a change in inclination and were satisfied that in reaching this stage in one go we had caused the tree minimal stress. 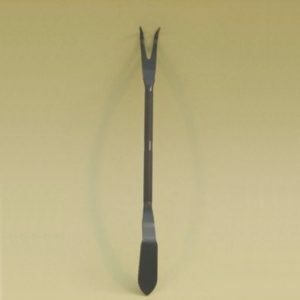 Time to wait and see how the tree responds in the next growing season. 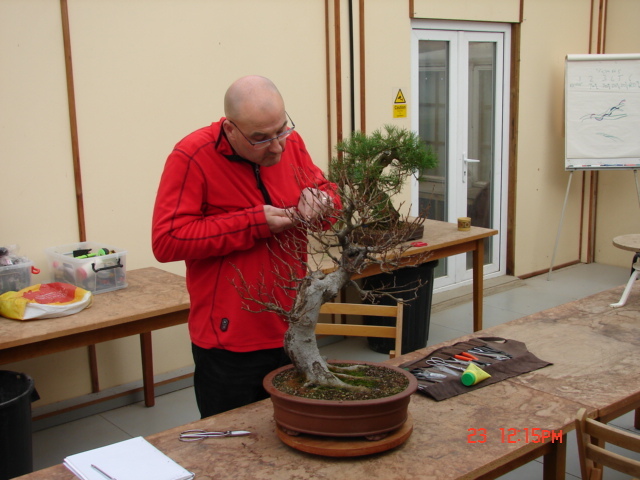 Growing to achieve back budding so as to further shorten branches before even thinking about further wiring to get shape. A quite long but very enjoyable day, at least that’s how Aunty saw it !